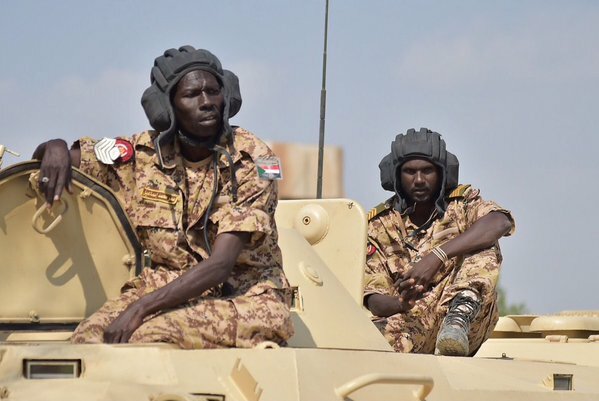 The Ambassador of the Republic of Sudan to the Kingdom of Saudi Arabia, Abdel Basset Badawi Al-Sanousi was re-assured yesterday about the wounded of the Sudanese Armed Forces and the rapid support forces being treated in Prince Sultan Military City in Riyadh after their injuries during their participation in the southern border, conveying to them the greetings of the Sudanese President and Minister of Defense and their keenness to be reassured about them. He expressed his appreciation to them for participating in the victories of the southern border. He expressed his thanks and gratitude for the attention and follow-up for them in the Kingdom, stressing the continuation of the armed forces in the southern border and the support of Sudan for the initiative to achieve peace in Yemen. For their part, a number of the wounded expressed their appreciation and thanks to Ambassador Al-Sanousi for his interest and care for them, stressing their commitment to return to the ranks of fighting to eliminate the Houthi rebellion . The Sudanese ambassador to the Kingdom was accompanied by the military attaché of the mission, Major General Abdullah Ahmad Abdullah.